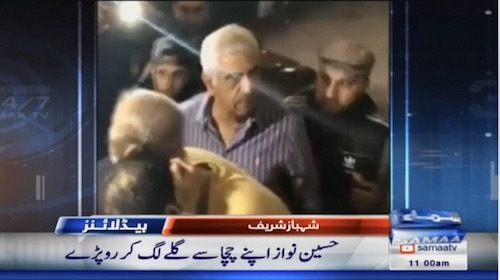 Leader of the Opposition in the National Assembly and PML-N President Shehbaz Sharif arrived in London early Thursday morning to bring the body of his deceased sister-in-law Begum Kulsoom Nawaz back to Pakistan. Begum Kulsoom passed away at the Harley Street Clinic on Tuesday.Her son Hussain Nawaz could not control his tears after hugging his uncle when he arrived to their residence at the Avenfield apartments.The body will be brought back to Pakistan on Friday and Begum Kulsoom’s funeral will be held at the Sharif’s residence in Jati Umra the same day.While speaking to the media, Shehbaz remarked that Begum Kulsoom was very brave.He said that he signed the request for the parole of Kulsoom’s husband Nawaz Sharif and their daughter Maryam Nawaz.”The corruption charges were never proven against them,” Shehbaz remarked. 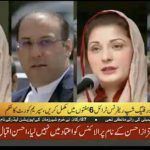 He added that Nawaz has appeared before the court 109 times now.Nawaz, Maryam and her husband Captain (retd) Safdar were granted an extension in their parole on Wednesday night.